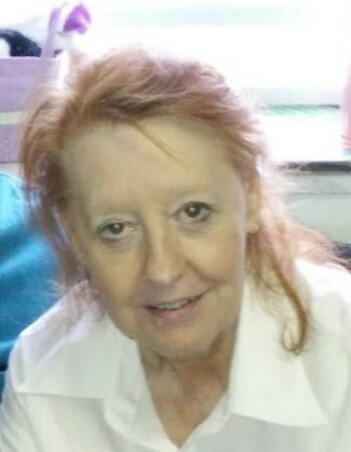 Elsie Lauretta Phillips Stevenson, 72, passed away on Saturday, January 12, 2019. Mrs. Stevenson was born on April 17, 1946, in Leetonia, OH, a daughter of Paul and Elsie (Ingledue) Phillips. Elsie was a dedicated student, receiving an award for having a perfect attendance record throughout her school years in Leetonia. She was a homemaker and a caregiver, for anyone in need. She enjoyed cooking, baking and decorating cakes. Mrs. Stevenson also liked to play bingo and read. Elsie was known for making blankets for her friends and loved ones. She married Halsey “Hal” Stevenson in 1972. She leaves to cherish her precious memory her husband Hal; her daughter Elizabeth (Robert) Brown, her son Jonathan (Ashley) Stevenson; her grandchildren Alexander and Valerie; three great-grandchildren Ryder, Xander, and Owen; and four brothers Virgil, Benny, Tom, and Gary Phillips. Mrs. Stevenson was preceded in death by her parents, five brothers and three sisters. Funeral services will be held on Friday, January 18, at noon, at the Seederly- Mong & Beck Columbiana Chapel, 154 S. Elm St, Columbiana. The family will receive friends on Thursday, January 17 from 5:00 – 7:00 p.m. at the funeral home.